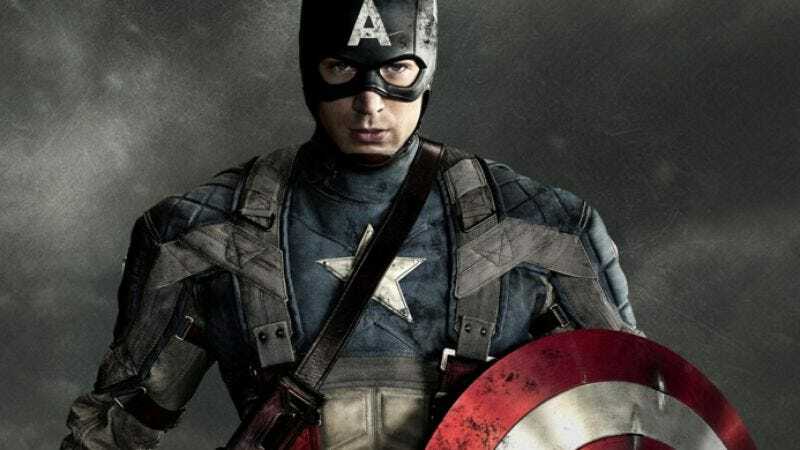 In case the recent short-list of directors and the fact that it is a successful superhero movie were not enough assurance that Captain America will get a sequel, Captain America will get a sequel, one that now has the official debut date of April 4, 2014. Obviously that’s plenty far off in the future, which means that naturally, no plot details have been leaked so that fans may begin rapaciously tearing them apart. Other than the fact that the official studio logline reminds us that they’re done with all the WWII-era stuff (save the occasional flashback), and that the next film will pick up the character where The Avengers leaves him, as “Steve Rogers continues his affiliation with Nick Fury and S.H.I.E.L.D and struggles to embrace his role in the modern world”—which, for some of you, may already be enough to set you off. Anyway, dropping an ostensible surefire summer hit in the early spring is an unusual move for Marvel, but it makes more sense when you consider that Marvel is also holding May 16, 2014 for an as-yet-unrevealed film. Given that Thor and Iron Man will both get sequels in 2013, could it be another Hulk? A hastily thrown-together Avengers sequel in which everyone looks really tired? That Black Widow spinoff? Ant-Man? Our long-awaited Doctor Bong movie? Probably one of those.